Originating from Canada, Julie completed her studies at the accredited West College of Massage Therapy, in Vancouver British Columbia in 2007. 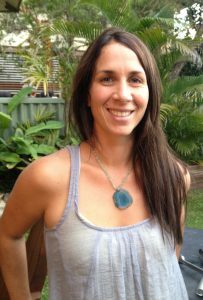 After moving to Redcliffe Australia in 2010, with her family, Julie has created a relaxing and dedicated massage room in her home, where clients can come to enjoy the many benefits of Massage Therapy. As a Remedial Massage Therapist, Julie's training in orthopedic testing, therapeutic massage and holistic therapies, allows her to assess presenting conditions and develop specific treatment plans, using a combination of massage modalities (deep tissue massage, remedial massage, stretching, muscle energy, fascial release, trigger point therapy, relaxation massage, therapeutic exercise and home care) which with help clients along their path to wellness. With a whole body approach you will leave feeling replenished and balanced. As a Registered Massage Therapist, my mission is to provide exceptional remedial massage treatments, tailored to each individual and their health and wellness needs. These relaxing and quality treatments will provide both short and long-term relief from stress and any chronic pain, while retaining an ongoing therapeutic relationship. I am committed to my personal growth and continuing education to expand my knowledge to offer the best “tailored” treatments to reach optimum health and wellness.